"We have not asked and will not ask for permission to develop different types of … missiles and will continue our path and our military power," Rouhani said in Tehran, according to media reports. 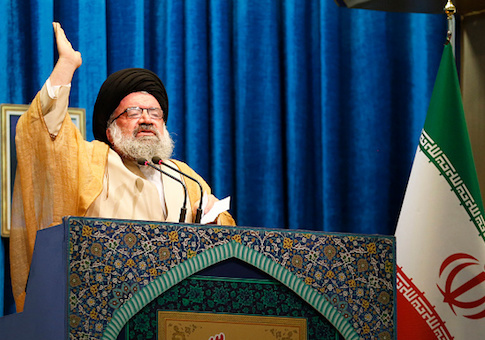 Ahmad Eshghyar, a founding member of the Iran Revival group which seeks non-violent overthrow of the Islamic Republic said: "Ahmad Khatami’s Freudian slip that the Iranian regime has the technical capability to produce nuclear warhead, while declaring missiles as an integral part of regime’s military strategy comes after years of denial of military nature of the nuclear program. The last thing the world wants to see is a nuclear Middle East."